In the aftermath of the housing crash, Tampa Bay attorney Mark Stopa became one of Florida's best known foreclosure defense lawyers. The New York Times, USA Today and other papers quoted him in stories. He drew national attention with a contest in which he offered a free house to a needy family. "I love the concept of helping people stay in their houses, avoid getting foreclosed,'' the boyish-looking Stopa says in a YouTube video. But in its second complaint against him since 2013, the Florida Bar details two instances in which Stopa's clients nearly lost their homes — one, when he failed to tell her that he had made a cash-for-keys deal; the other, when he failed to tell her that she had been approved for a trial loan modification. The 21-page complaint also accuses Stopa of ignoring judges' orders and acting boorishly. A Sarasota County judge had him removed from her courtroom because of "disrespectful and disruptive behavior.'' A Manatee County judge recused himself from all cases involving Stopa because of his conduct. And a Pinellas judge had to intercede when Stopa, in a "loud, aggressive'' manner, repeatedly rebuffed a process server's attempts to serve him with summonses. In two brief phone conversations Thursday, Stopa, 40, said the Tampa Bay Times was trying to "sully'' his reputation. Mark Stopa, a well-known foreclosure defense lawyer from the Tampa Bay area, is in trouble with the Florida Bar. In his formal response to the Bar complaint, Stopa denied the allegations. The Florida Supreme Court has appointed Hillsborough County Judge Jennifer X. Gabbard to hear witnesses, receive evidence and recommend discipline, if any. Punishment could range from admonishment to suspension or disbarment. After the market crashed, many Floridians faced with losing their homes turned to attorneys who promise to "fight the bank'' and stop — or at least delay — foreclosure. Tensions in courtrooms with huge foreclosure dockets sometimes ran high as defense attorneys tangled with lawyers for the banks, which often were accused of fraud and deceit, too. 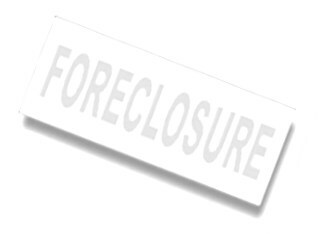 Stopa is not the only foreclosure defense lawyer who has run into trouble recently. Pasco County attorney Constantine Kalogianis was arrested last month on felony charges of doctoring court records to benefit his clients. 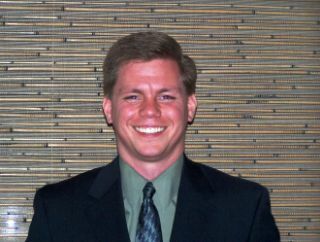 On his website, stayinmyhome.com, Stopa says he has represented hundreds of people facing bankruptcy or foreclosure in the Tampa Bay and Orlando areas. Among them were Rosalie Coyne, who hired him in 2013 to work out a loan modification with Wells Fargo on her St. Petersburg house. According to the Bar, Coyne paid Stopa $1,575 for the first year of representation although he never met with her, spoke with her or attempted to negotiate a modification. In 2014, she gave Stopa a total of $1,650 in post-dated checks — his fees for the second year — but stopped payment on the final two checks because "she believed (he) was not acting in her best interest,'' the complaint says. Unbeknownst to Coyne, who told Stopa she wanted to keep her house, he and an associate worked out a settlement with Wells Fargo that included a cash-for-keys payment of $1,500. The associate, though, told the bank that the payment should go to Stopa's firm, not to Coyne. Stopa falsely claimed that Coyne couldn't sign the settlement paperwork but had agreed to the terms, the complaint says. On Feb. 13, 2015, the case went to trial. Stopa was not present as Wells Fargo's attorney told the judge — with Coyne listening — that the parties had reached an agreement. Only then did "Ms. Coyne discover that (Stopa) had settled her case without her authorization and that she had 60 days to vacate her home,'' the complaint says. Coyne fired Stopa, rejected the agreement and negotiated a modification on her own. She is still in her house. In Coyne's case, "Stopa engaged in conduct involving dishonesty, fraud, deceit or misrepresentation,'' the complaint alleges. In a similar case, an Orange County woman, Maria Said, almost lost her house because Stopa didn't tell her that Bank of America had approved her for a trial loan modification plan, the complaint says. Instead, Stopa pressured her into accepting cash for keys and falsely told her the bank had offered $11,000. In fact, the offer was for $15,000 — Stopa wanted to keep $4,000 for his fees, according to the complaint. Only after the house was set for a foreclosure auction last year did Said learn about the modification plan. The sale was canceled, Stopa withdrew from her case and she negotiated a modification on her own. Stopa, a University of Florida law school graduate licensed in 2002, is also in hot water over courtroom behavior. In Sarasota, Judge Nancy Kane Donnellan had him removed from her courtroom two years ago because of conduct that included "lecturing the judge and opposing counsel on procedure... throwing his arms up when the judge ruled in a manner contrary to (his) wishes... arguing with the judge on multiple occasions and turning his back on the judge'' after she ruled against him, the Bar says. And in Manatee County, a sheriff's deputy escorted Stopa out of Judge Thomas Gallen's courtroom because of "his statements impugning (Gallen's) character and loud outbursts towards individuals in the courtroom.'' The judge later recused himself from hearing any of Stopa's cases. In 2013, the Bar filed its first complaint against Stopa for misconduct in two unrelated cases. In the second case, Stopa was reprimanded for failing to disclose in court that a company he represented had agreed to give back a house it bought in a foreclosure sale if the owner paid $12,500 in homeowner association dues. The agreement came to light only after Stopa moved to evict the owner even though he had made the payments. A different image of Stopa emerges in a YouTube video in State Farm's Simple Acts of Kindness series. In it, he says he had met so many people in hard circumstances that he decided to give away a house. "As many people as I helped, I haven't been able to help everyone, certainly not as much as I would like,'' Stopa says on the video, viewed almost 31,000 times. "I wanted to be able to give back to more people. My son, when I was tucking him in one night, in a sweet voice said, 'why don't you give away a house, Daddy?'" Stopa said the contest drew hundreds of letters: He ultimately chose a woman whose daughter had brain cancer. He also gave four other people $5,000 each, on the condition they raise a matching amount for an organization that helps children with special needs.